Hey everyone! 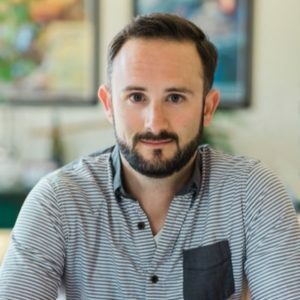 In today’s episode, I share the mic with John Doherty, founder and CEO of Credo, a marketplace for those who need an SEO or marketing provider. If you don’t try, you won’t go anywhere. Running a business doesn’t mean you should stay in it forever—don’t be surprised when the time comes for you to seek another challenge. Take advice from your mentors—they’re mentors for a reason. John Doherty: It's doing well. It's grown really well over the last, really over the last six months. It's taken some leaps and bounds. I've been working on it full-time for about two years now. So it's been an interesting learning curve. It's my first real business that I've founded and grown. Eric Siu: Awesome. And what kind of numbers can you share around the business? John Doherty: Yeah, so the business right now ... The site itself does 13,000 to 14,000 unique visitors a month, up sizeably from last year. And about half of that is SEO driven. And revenue-wise, the software business does anywhere from $23K to $27K a month, combination of subscription and some commissions that we get for some projects that we send. Eric Siu: Nice. That's a good chunk of change. Eric Siu: So, yeah, I mean, when you were first starting out, I mean, so, like you went from SEO and then I think you coded everything up by yourself, right? John Doherty: Yeah, the initial parts of the system for sure. I now have a part-time developer that builds out ... It's a lot more complicated stuff now that we're building, so he takes care of all of that. And I've actually recently tried to pull back from writing a lot of code and building product myself and actually learning to be a CEO and learning to delegate. Eric Siu: Yeah, no, that's super important. But I mean, the early days of you having to build everything, come up with the concept, and then do customer service and sales as well ... How did that process feel and how did you ... What are some lessons you learned? Eric Siu: Awesome. And yet you've been really transparent along the way. And I think there have been moments where there's been spikes where maybe like a PR spike where you just kind of get a big lift from everything. I mean, can you talk to some of those where you kind of just ... there's that one moment and then you know, just kind of grew from there? John Doherty: Since I started working on this full-time, I've rebranded and I've pivoted the business model. And both of those came ... Well, the rebranding came because I was actually ... completely accidentally, I mean, naïve first-time entrepreneur ... I was violating someone's trademark. And so I received a cease and desist the day before Thanksgiving 2015. And so I rebranded two months later, which was a little bit of a hiccup along the way. But the biggest upchanges have definitely happened when I've taken big swings as opposed to iterating. I'm a big fan of iterating and testing things and all of that, but the biggest upchanges have been switching my business model, which happened because my revenue was going the wrong way when all the other metrics were going up. So that ... There was definitely something broken there and so I talked to a guy that's became a mentor, Chris Lema, who's big in the WordPress space. And he was basically like, "You need to change your business model and here's how I'd do it." And I did it. I basically went from revenue going down about 20% month on month to I hit six figures in annual revenue about six months later, in September 2016. And it's grown from there. And then just recently basically re-architected my website from a technical SEO perspective and SEO traffic has improved handily, like 3X to 4X, two pages that actually convert into projects on the platform. And it's done really well. But that took me and my developer about a month and a half to two months to get right. And it's still not quite right, but it's definitely a big step forward. Eric Siu: Great. And so what was the model before, and what is it now? My understanding from before, I think it was mainly referral and then you get a percent or something like that? But you can correct me. John Doherty: Exactly, yes. It was referral and then when an agency closed business, we got a percentage of that fee, right? So if an ... [inaudible 00:07:28] so it was 10% of [inaudible 00:07:30] ... If it was an ongoing project, it was 10% of the first three months. So if a business was paying an agency $5,000 a month, we got basically $1,500 total, $500 a month for three months. That was challenging because basically half of the projects, that we were ... or more of the projects we were generating weren't closing into business. So we were being compensated for 40% of our effort, right? And I couldn't really affect whether a business would change, or would close a client, right? I couldn't affect their sales process. John Doherty: Other than sending them better projects, but that was just incremental, right? Not like these big changes I was talking about. So that worked to get initial traction and kind of to realize what the problems were, and then yeah, I moved to the subscription model, which basically now agencies and consultants, they pay for access to the platform, to projects that are on the platform, and they pay different amounts every month depending on how many projects they want to contact. So $100 a month for up to three contacts, and it goes up from there. Eric Siu: And a contact is a lead, right? John Doherty: A contact is a lead. So we generate a project, it's set live on the platform, and then the person subscribes, I call them customers, agency or consultant, sees it there and they can contact them through the platform. And so that contact is what I'm talking about, yeah. So basically a lead getting in touch with a potential client. Eric Siu: So let's say I want to pay $100 or so a month, am I able to specify the criteria I'm looking for? Like $100 a month for three Fortune 500 contacts, I think anybody would pay for that, right? So what does that look like? John Doherty: Totally. So it's all a balancing act, right? So businesses can ... agencies can get on and say that they're paying $100 a month. And also I very much restrict supply on this site, so the number of agencies and consultants on there, simply because I want everyone that's on there to be successful. So agencies and consultants can say they just do SEO, PPC, Facebook ads, and their minimum budget is $4000 a month, right? But there are a lot of projects out there that are like $1000 or $2000 a month. So if their minimum is $1000 a month, they're gonna get more potential opportunities than someone whose minimum is $5000 a month. But, if that person that only works on $5000+ a month projects closes one project every three months, it more than pays for itself, right? So it's a whole quantity versus quality play. And that's definitely been a challenge in the business and something that I'm continually thinking through about, what the right business model is really long-term for this business. Eric Siu: Got it. Okay, great. And what are the goals for the business in the next, I dunno, five years or so? John Doherty: It's a great question. Honestly, I probably won't be running this business in five years. But I really want to ... My goal when I started this business was really to help businesses find the right agency or consultant to work with. So I'm really focused on that, and on the matching that we're doing. At this point, I want to keep growing it, I want to realize that vision of sending business to the right ... to agencies and consultants that are really, really good at what they do, and not sending it to people that are just gonna take their money and run. So it's a constant battle to do that. So a lot more on the vetting side of agencies and consultants, and then we've taken a much higher touch approach to projects that come in, figuring out what they need, what they can pay, what their experience is with whatever service it is that they're saying they need, what their expectations are, and then helping recalibrate those expectations, and then making connections. So I think in the future we're gonna do a lot more rounds, really helping agencies close better work is gonna be a focus there as well. Eric Siu: You know, when you started out, it sounded like you were doing some consulting to kind of make ends meet, but for Credo itself, I mean, how did you acquire let's say your first, I dunno, 100 customers or so? John Doherty: Yeah, so the first 100 customers, first 100 businesses looking to find an agency or consultant, those, honestly, came through my network. I started this business in its first incarnation about 4 1/2 years ago, February 2013, because I had just gotten out of doing freelance consulting myself, and needed a place to send people that were coming to me through my personal site wanting to work with me and I wasn't taking on work. So I actually had a blog post published yesterday on entrepreneur.com talking about how I started my business on a spreadsheet. And so really it was people coming to me through my site, agencies referring people to me, and I had a spreadsheet of people that I sent work to, and then realized that hey, the lead business is actually a big business, and so sent a project to my buddy who runs an agency in Utah, and he paid me $50 for the intro and he closed the business and I went and bought a domain name. John Doherty: So really it started all from my network, right? I'm building a business in the industry that I've been working in for a long time. So I know a lot of people there. And so it's been interesting that it's kind of gone from agencies and friends sending me projects, it's like personally introducing me to my personal email, right? To now, it's a full site built out and getting projects from all over the place, from $1000 a month SEO projects for real estate agents, all the way up to ... I've seen projects that have paid agencies $25,000 to $30,000 a month. John Doherty: So it's kind of a smattering all over the place, but the ... Where projects come from has definitely shifted and I'm always testing new things to try to drive more projects. Eric Siu: That's awesome. So you said I guess the lowest subscription tier is $100. I mean, what are the other tiers? John Doherty: So the other publicly announced ones are $200 a month and $375 a month. And then I have a couple higher tiers as well, which are more like we make personal introductions for agencies to potential clients that we vetted out that have budget and a correct set of expectations and all of that stuff. John Doherty: And so I open it up two to three times a year for new agencies and consultants to be on the platform. John Doherty: [inaudible 00:13:06] Exactly, exactly. So I can send out a drip email that I actually learned a lot of the copyrighting techniques from Ramit Sethi from all the stuff that he's written. And basically we'll send it out and I can get ... I'll open up 10 spots and say ... but I'm chatting with 20, and then making a decision. And those 20 will fill up in six hours. Eric Siu: Awesome. That's incredible. Eric Siu: And so, I mean, you've basically, I mean, you probably have around, give or take, maybe about 150 paying customers a month right now? Is that around the right range? John Doherty: It's fewer than that. It's actually around 70 to 75. Eric Siu: Okay, got it. Because you have the higher tiers. Eric Siu: Got it, okay. So let's talk about SEO for a second. You're getting 13,000 visitors a month and it's pretty competitive being in the marking space. So how are you making it work for you on the SEO side and what else is working in terms of customer acquisition? John Doherty: Yeah, that's a great question. So on the SEO front, yeah, as you said, it is a pretty competitive space and obviously every SEO agency is doing SEO for themselves, and every content marketing agency is trying to rank for content marketing agency in [inaudible 00:14:07], and I definitely have some competitors as well that are more like marketplaces too. But really my strategy right now is I'm going at the long tail. So it's gonna take awhile to rank for the head [inaudible 00:14:18] SEO consultant, which really doesn't have that much traffic, but I mean, 500 searches a month, which isn't anything to sneeze at, but you know, basically where my mind goes is, is it worth putting all my time and effort into this one keyword, this one page to rank that didn't ... If I lost a ranking, then my business is hurting. Or, you know, should I go to the long tail. So I've gone to the long tail and actually that big update that I shipped out a couple weeks ago is focused on ... Now I have pages for San Francisco, California content marketing agencies, right? And a page dedicated to that. And only people that are in San Francisco that do content marketing and are an agency are listed on that page. You know, I've very much expanded the pool of keywords that I can rank for. I went from about 400 pages on my site that I could rank to over 3000 now. John Doherty: And it's definitely, definitely helped, and now I'm really pounding the content marketing links, etc., you know, trying to rank better across all of these lower volume, less competitive, but also convert really, really well keywords. Eric Siu: I don't usually ask this question, but how do you, I mean ... What are some productivity hacks you have and how do you structure your day? John Doherty: Yeah, it's a great question. I'm a big fan of Paul Graham's maker's schedule, manager's schedule way of thinking. And as a solo entrepreneur with a small team, I don't have any other full-time employees, I very much have to ... I've done a lot of testing, actually, around my schedule and when I'm most productive. I started about five months ago waking up super early. I heard Noah Kagan talking about it and started waking up at 5:00 AM, not this week because I've been a bit sick. But I'll wake up early, I'll get a bunch of work done from about 5:30 once I have a cup of coffee in me to about 8:00 AM. I don't check email until 8:00, and then I also don't schedule phone calls before 8:00. So basically 8:00 to 12:00 I'm talking with potential businesses that we're trying to match up with agencies or consultants, I'm doing stuff like podcasts like this, I'm writing if I have time. And then in the afternoon, or ... Tuesdays I have phone calls with my own personal consulting clients, I still have a couple of those. And in the afternoon I don't do phone calls. And that's just for writing, it's for building product, it's for managing developers building stuff, it's for business ops. So I very much found that the morning is when I'm awake and I'm ready to talk to people, and in the afternoon is when I'm ready to go to a coffee shop and focus. And I actually switched that for a couple of weeks about a year ago, and it was awful. I had a terrible couple weeks, and I switched it back, and productivity went right back up. So I've done a lot of testing around it, and I very much try to be as focused as I can in those times that I have blocked off for the different things that I can do at that time. Eric Siu: Right, yeah. I think it's all about blocking off time and when I look at my calendar sometimes ... and actually I heard this from Ramit a couple weeks ago. I think he wrote an email. But basically, he blocks off time for his most important things, so then if it's in his calendar, it gets done. And then from other people I kind of steal and kind of combine things so I have this Frankenstein calendar now, but Fridays are for strategy days, right? Mondays are for meetings and things like that, so, or one-on-one. So yeah, I totally agree with that. I think that that's ... If you're very deliberate with your time, then you're going to make the most of it. And I think most people kind of just run around with their ... they're a chicken with its head cut off. So, super helpful. What is one new tool that you've added in the last year that's added a lot of value? So could be like Evernote. John Doherty: Yeah, so the ... It's actually an SEO tool. So I've been a longtime SEMrush user, obviously I've used Moz's tools for a long time, and everyone had been telling me to try Ahrefs, try Ahrefs. I'm like, whatever, I don't need Ahrefs. I have SEMrush, I have Screaming Frog, I have all these other tools. And I signed up for it about three months ago and it's my go-to. It's become my go-to. It's more expensive than the others, but it gets me so much insight, and it's been absolutely valuable for my client work, my work on Credo, all of that. So yeah, that's the tool that I've added in. And then the other one for productivity is Calendly. So I can send someone a link and be like, hey can you grab a time here on my calendar that works for you, and I obviously have those set up that they can't schedule in the afternoon, and whatever ... And that's really helped instead of going back and forth to five or six different times that might work. They can just grab a time and schedule it, and then I hop on the phone with them when they've scheduled it. Eric Siu: Love it, yeah. I mean, Ahrefs, whatever, if we want to call it ... But I've mentioned it a lot with Neil on our other podcast. It's probably the most mentioned tool, but it's a tool that I open every single day even though I don't do a lot of SEO work. I just like looking at stuff. Neil actually does the same thing too, so can totally vouch for that. Eric Siu: Same thing with Calendly. Great tool. What's one must read book that you'd recommend to everyone? John Doherty: I think this ... Your audience has probably heard this many, many times, but The 4-Hour Workweek has been the biggest game changing book for me in my business life. I actually re-read it about every four to six months just because I get new stuff out of it every time. So yeah, that and The Hard Thing About Hard Things by Ben Horowitz. If you're an entrepreneur and you're kind of struggling, kind of feeling alone, why is this so hard. Read that book and you'll feel a lot better about your life. Eric Siu: Yeah, you know, interestingly enough, The Hard Thing About Hard Things is the most recommended on this podcast. Eric Siu: I don't think The 4-Hour Workweek has ever been mentioned. Maybe once, out of, I dunno, 250+ interviews. Eric Siu: So it's like reversed. So yeah, The Hard Thing About Hard Things, by far and away number one. But yeah, I mean, I totally endorse it. What's ... and usually I don't ask this question, but since you listen to podcasts, what's one podcast that you listen to, aside from this one, that's one of your go-tos? John Doherty: You know, the one that I've recently ... There are two that I listen two. One is Noah Kagan Presents. I think Noah's a super smart guy and he has really interesting guests on there that I learn a lot from. And then the other one is CreativeLive with Chase Jarvis. John Doherty: He has a lot of just like interesting, creative people on there. I always have to skip about five minutes in because he has a really long intro. But once he gets into speaking with people, it's just absolutely fascinating stuff. Entrepreneurs from many different industries, fashion and whatever, that I don't have any ... I have no dogs in that race. But the way that they're building their business and stuff that they're thinking about, and just being really creative in their ... called CreativeLive, right, being really creative in how they're building their business, their visions and all of that. It's always really inspiring and I always take one or two good nuggets away that I ... It's not a go and implement it sort of thing, but it's a huh, I actually really need to think about that and that's actually gonna change the trajectory of my business sort of stuff. Eric Siu: Awesome. Yeah, I'll have to add that to the list. I've actually never thought about listening to that one. But I'm subscribed on YouTube, so I'll add that. So John, I mean, this has been awesome. What's the best way for people to find you online? John Doherty: Best way to find me online is on Twitter, @dohertyjf, D-O-H-E-R-T-Y-J-F. I spend a lot of time on there. But I recently deleted the Twitter app from my phone, all social media apps. And it's been awesome for my productivity as well. And so Twitter's the best, and then GetCredo.com, G-E-T-C-R-E-D-O dot com, is my website. Google my name and you can find my personal website. I write a lot there around productivity and entrepreneurship. Some around SEO, but less than I used to. So yeah, that's where to find me. Eric Siu: Awesome. John, thanks so much for doing this. John Doherty: Eric, thank you.